If you ride a bike regularly, you probably know that sinking feeling of getting to the spot where you parked your bike and realizing that it’s been pilfered. The Yerka Project was created by three engineering students in Chile who knew that feeling all too well. 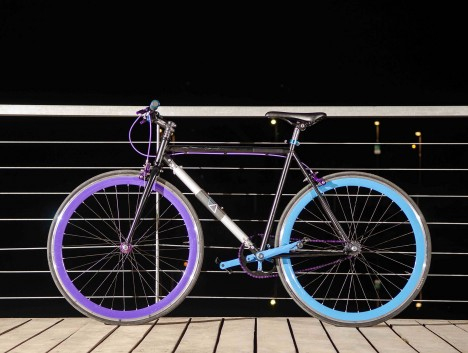 The engineers created a bike that they say is impossible to steal. 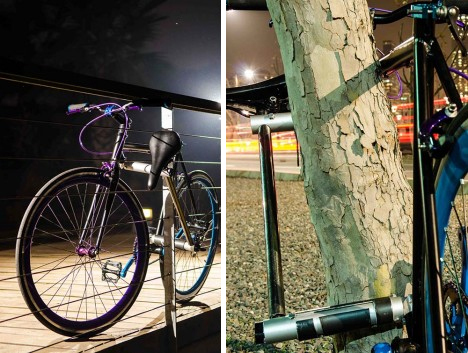 The logic is pretty simple: to steal a bike, a thief has to break the lock. If the lock is formed from the frame of the bike, stealing the bike would render it useless. 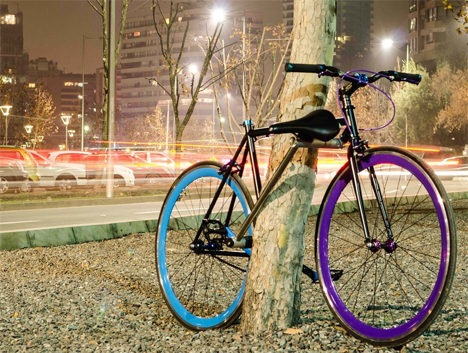 The Yerka bike is seriously stylish and doesn’t give away its secret until you get to your destination. You then unlatch the bike’s seat post and rotate two small parts on the frame. The rotated pieces provide a negative space where the anchoring object – a tree, lamp post, bike rack, or whatever else is handy – can fit. Then simply slide the seat post through the two rotated pieces, remove the locking pin, and go about your business knowing your bike is safe. 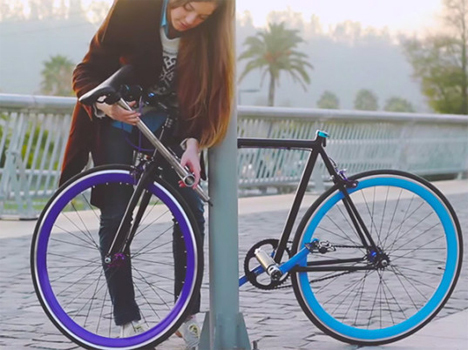 Part of the bike’s appeal lies in the fact that it makes carrying around a lock unnecessary. Of course, it is still possible for a determined thief to nick the tires – but the idea is that they won’t bother with just the tires if they can’t get the whole bike.